We recently published an article in the Bulletin of the Atomic Scientists looking at how advancements in 3D printing technology could play a role in reducing climate risks. We isolated five ways in which 3D printing can significantly improve the tools available for both militaries and civilian institutions to respond to, prepare for, and mitigate those risks: Rapid response and prototyping, Democratization of preparedness and response, De-globalizing hazards, Increasing accessibility, and Enhancing energy efficiency. 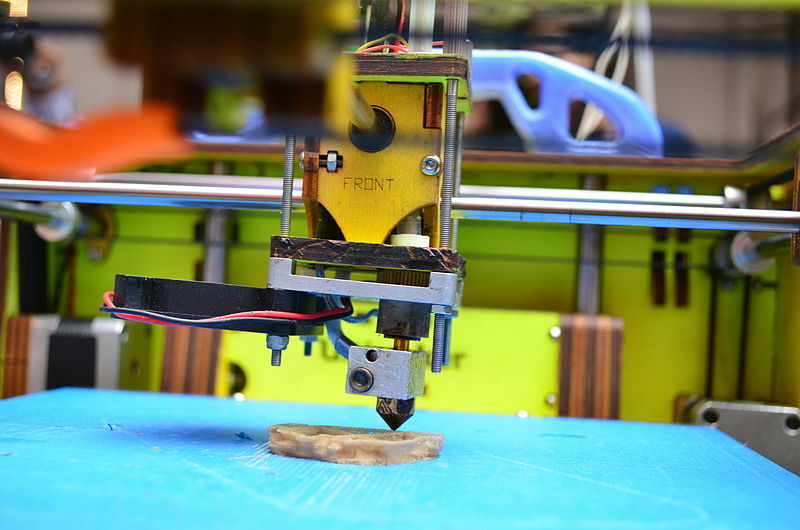 Though there remains a gap between where the technology is today and where it would need to be in order to contribute to climate resilience, the good news is that the U.S. military and civilian institutions are already using 3D printing technologies in ways that can enhance climate resiliency, whether that is their main function or not. Read the full article, Combating climate risks in 3D here. As communities and nations become more vulnerable to climate change effects, such as sea level rise and an increase in the frequency and intensity of extreme weather events, the ability to print replacement parts for generators, water filters, or temporary shelters—on site—may become a critical and inexpensive tool of climate adaptation, particularly in zones of instability and conflict. And as societies seek greater energy efficiency in manufacturing processes and products, 3D printing offers the possibility of cost-effective reductions in greenhouse gases. By Caitlin Werrell and Francesco Femia in climate and security on June 9, 2015 .